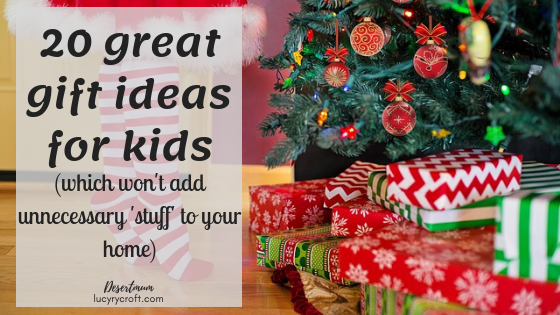 The other day I shared twenty gift ideas for the grown-ups in your life this Christmas. I also shared how difficult I find Christmas shopping, even though I also love the challenge. In some ways, kids are easier than adults to buy for, because they almost always have a list which, when outstretched, matches the length of a baby whale. My brain: But do we have space for it? Where will it go? Is it too big? Is there something smaller that would do the job? Me: But they want this. My brain: Yes, but will they use it, or will it sit around collecting dust? Will they need an adult to help them each time they want to use it? Is it something they can play with when friends come round? Me: They actually have asked for this. My brain: Yes, but is it going to deliver what it promises? Will it break in January? What are the reviews like? Is it going to do what it says? Me: This is what they want for Christmas. My brain: But is it the most educational, enriching, life-affirming choice for them? Does it hold with feminist values? Is it adoption-friendly? Does it differentiate on grounds of race or sexual orientation? Is it in accordance with Scriptural teaching on parental responsibility? It’s true: sometimes, I like to overthink things. I can’t be alone, however, in at least some of the above. We want to get our children good gifts, right? And, while these can sometimes be found on their list, good gifts are also about us exercising our parental wisdom and judgement, to buy things which we know are good for them (and that they will enjoy too, of course!). So here are my top twenty Christmas gifts for kids this year which have been road-tested by our own family, so we know they’re both really, really good for them and also engaging and fun. I’ve added a rough age suggestion, but please take this with a pinch of salt – every child is different. I’ve combined book ideas with ‘non-material’ gift ideas, because I can’t think of a child alive who needs more Stuff. Sometimes an ‘experience’ gift is a much better option. I’ve put a rough age suggestion in brackets: preschool (0-4), primary (4-11) and secondary (11-16) but you know the child you’re buying for best. And I’ve ordered them in terms of price, so you can browse according to budget. I hope these suggestions aid your Christmas shopping, and would love to know what you buy – please share in the comments! And, of course, add your own ideas. Listen, I get these books for my kids under the guise of wanting to answer all their many questions (“Why is Superman red and blue?” “How did God make blood?” “Why does it rain?” “How do you make air?”, to give you a smattering) BUT in reality they’re actually for me. I mean, come on, not all of us did degrees in Science/Geography/Engineering. And probably very few of us have a degree in all three disciplines. Yet these are precisely the things my kids are asking about. Sadly, they don’t wish to know how to analyse a Haydn string quartet, or exactly how twentieth-century art music influenced film composers – I’m waiting, believe me I am, but my kids seem oblivious to what Mummy’s specialist subjects actually are. So, until that time comes, I’m helping to keep Usborne going with a growing investment in these wonderful books, which have loads of lift-the-flaps and tons of information, all broken down into bite-size chunks. 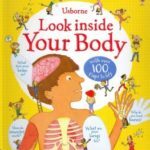 Meerkat (4) got ‘Look Inside Your Body’ for his birthday, and it’s been a great hit with both boys. 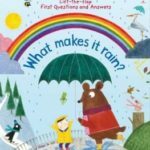 For Christmas, we have bought him ‘How things work’ and, for Monkey, ‘What makes it rain?‘. Browse the range here. Honestly, if you want to make 2019 a year of increased spiritual and emotional wellbeing for a child you know, then I cannot recommend this resource highly enough. This resource is engaging, well presented, and simple. It doesn’t take ages to do each night – just five minutes of Bible reading and a simple question. 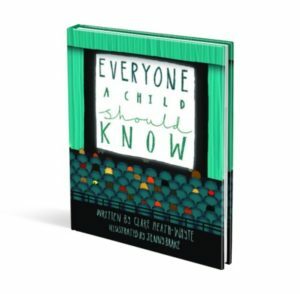 It’s aimed at 6-12 year olds, and I would recommend it as a gift for children of Christian parents who will assist them. Children in the higher end of this age category, if self-motivated, will be able to complete it without their parents. Read my review here and buy the book here. 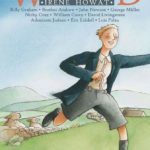 Most children love a trip to the flicks, and this is a great excuse to catch the latest release! I love these kinds of gifts because they can be used several months after they’ve been given, at a point in the year when there haven’t been any presents or treats for a while. Win! 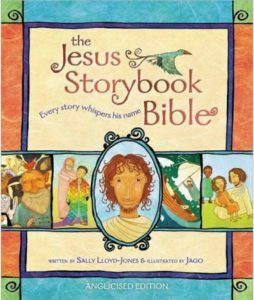 Written in rhyme, with beautiful illustrations, this hardback book of six Jesus stories makes a lovely gift for a young child. It would be perfect to be read aloud, but could be given to any family, regardless of faith, as they’re just great stories and exciting to read! Read my review here and buy it here. 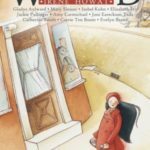 This is a beautifully illustrated collection of one-page stories featuring 52 prominent Christian men and women from history. You could do one per week during 2019 – if you can restrain yourself, of course: my kids love this book and usually ask for several stories at once! Look out for my review later this week, and buy it here. This is a classic in our house – such a fun book to share with very little ones. It’s beautifully designed, with simple words which even tiny ones latch onto. We add silly voices and actions and point to the different parts of our body when mentioned. It’s a board book, so very hardy and robust for toddlers. Buy it here. Mister (9) and Missy (7) have really enjoyed reading both these books this year. We read the Bible to them, but there is something very powerful about the stories of Christians who lived more recently. As they’re starting to learn about historical events at school, e.g. World War Two, they have a context for these exciting stories of faith, and can relate to them a lot more. 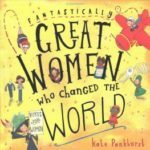 I recommend buying BOTH boys and girls books – it’s important for a young boy to read about inspirational women as much as it is for a young girl to read about inspirational men. Buy the boys book here and the girls book here. I probably don’t need to tell you about this, as it’s now become the classic Bible for young children. But if you don’t already know about it, then let me tell you: it’s the classic Bible for young children. 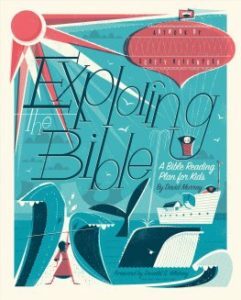 Hardback, with beautiful words and illustrations to boot, and each story connecting the overarching story of God’s plan for salvation, it would make a fabulous Christmas present for Christian families – or any family wanting to get a decent Bible for their kids. Buy it here. This is a lovely gift for a child of any age who enjoys cooking (and eating!). 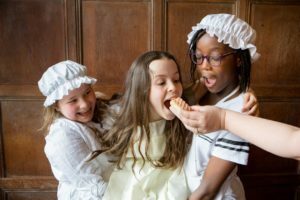 You can find a recipe here but they’re all over the Internet – variations include various flavoured biscuits and cookies. It’s a cheap but rewarding gift: a pretty jar, filled with all the dry ingredients necessary to make a yummy treat. 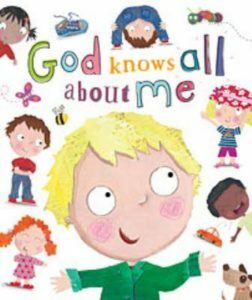 Bob Hartman is such an engaging storyteller, and I love this series of books for two main reasons: 1) they’re all centred around a particular sound which is a fun way in for young children; and 2) they tell the stories of Biblical characters who are less well known. We have ‘Yummm! 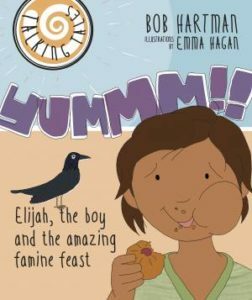 Elijah, the boy and the amazing famine feast’ and, I’ll be honest, it brushed up my knowledge of this story too. 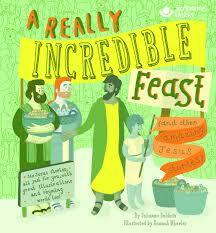 These are totally appropriate books to give to non-Christian families as well as Christian families, as they’re such brilliant stories, well told and well illustrated. Browse the range here. Both Mister and Missy love the first of these books (the second is on our Christmas list! ), and have done for the last couple of years. A double-page spread is given to each of the 13 women featured, and the book is just brimming with colourful illustration and stories galore. A wonderful gift for a boy or girl, which will be loved for years! Buy them here. 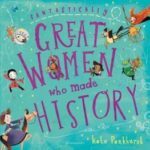 Designed to inspire young girls to follow their dreams, these stunning activity boxes are each focused on a pivotal woman from history, and contain a costume, props, activity book and fun experiment to accompany each theme. For example, the Amy Johnson box contains a pilot’s hat and goggles, a flight experiment and 38-page activity book. There’s a Mae Jemison astronaut box, a Mary Seacole nurse box, an engineer’s box and a sweet-maker’s box to choose from. Now here’s the cool thing: these boxes are usually £25 (although there are cheaper gifts on the website, so do check out the Ingenues shop here) BUT Isla has kindly given you lucky readers a whopping 20% discount if you use my code DESERTMUM at the check-out! Head over to her website and browse the fantastic range of products. A variation on buying a cinema card, and perhaps a little more exciting than buying a DVD, pack up a box with the kind of treats you’d enjoy when watching a film: hot chocolate powder, marshmallows, sweets and popcorn (and a DVD, of course!) – or, if you have a higher budget, you could include some comfy slippers, new PJs or a soft blanket. Our family (aged 9,7,4,4) has found this to be such a helpful resource to orient our prayers outwards, rather than just praying for ourselves. It can be used with a wide variety of ages, albeit in different ways. 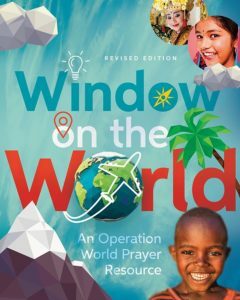 Again, unless you know a child who is passionate about world missions, and would be motivated to read this book on their own, this would be best given to a child who has a Christian parent to read it with them. Read my review here and buy it here. If you know a child who loves a soft toy (and, let’s face it, this applies to some teenagers too!) then a trip to a Build-a-Bear Workshop is a very special gift. My daughter has been a couple of times and it’s such a treat for her! She loves the experience of going and creating her new bear – but then getting to take it home with her means she has a lasting memento and new toy as well! My twins enjoyed their Cbeebies and Go Jetters magazine subscriptions last Christmas (when they were 3), and it was brilliant to have a regular injection of fun and novelty into our weeks for the months that followed. 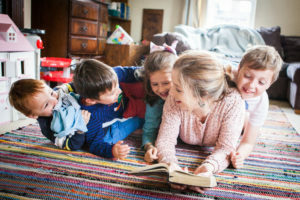 Older children love to have a magazine which follows a special interest – my son obsesses over his Match of the Day and Kick magazines, both of which have been generous presents from friends and family. Aquila is an excellent all-round magazine for KS2 children (7-11), and features articles on a variety of topics. A bag makes a great Christmas present for all ages, because it’s so practical, and every child needs one – or multiple ones – for something, whether that ‘something’ is school, swimming, sports, camp, or whatever. This Christmas, please consider buying a Madlug bag – because for each bag purchased, Madlug will provide a bag for a child in care. Bags and suitcases are not provided by local authorities, so when a child leaves his birth or foster family, or moves placements, his few possessions are often put in a carrier bag or – worse – a bin bag. Can you think of a more inappropriate gesture for a child who already feels unloveable, unworthy and unvalued than to have their things carried round in a bin bag? 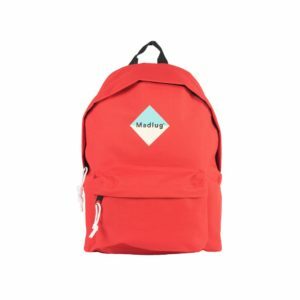 Madlug are changing this, one bag at a time. You pay a bit more – but a looked-after child gets a proper bag. Browse and buy here. My daughter totally loved her regular toucan boxes when she was given a subscription one Christmas. They come through your door at a frequency selected by you, and contain all the pieces for a fun craft. The larger boxes contain more crafts and a book on the same theme. 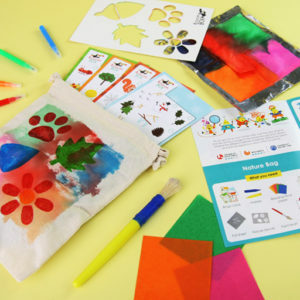 It’s a lovely gift that keeps on giving after the excitement of December has died down, and is perfect for any child who loves craft. I have a football-mad son. He is so football mad that even a ticket to York City is a much-appreciated gift (and these games are NOT CHEAP). Last year, his uncle, a Liverpool season-ticket-holder, managed to arrange a trip for the two of them to a match on Boxing Day, and it was quite an experience! He loved his first time at a big stadium (once he’d got used to the noise of Anfield!). Maybe your child isn’t into football, but there’s a rugby or tennis match for which you can get tickets, perhaps an indoor cycling event or horse racing or golf or some random sport that they particularly like. For a sports-mad child, this gift will never disappoint! This is a great gift if you’re sending something from a distance. Why not investigate what there is to do near the child you’re buying for, and see if you can get a ticket? Or, if they have a particular interest, see if you can find something to match that. Our kids love going on days out, and of course this is the epitome of a present which gives well beyond December! Great ideas, thanks Lucy. Beano subscription has been a massive win in our house!